In this Wednesday, Feb. 6, 2019, file photo, Jake Patterson appears for his preliminary hearing at Barron County Circuit Court in Barron, Wis. Patterson, charged with kidnapping a 13-year-old Wisconsin girl and killing her parents, is expected to enter a formal plea when he appears in court for an arraignment, on Wednesday, March 27, 2019. A Wisconsin man pleaded guilty Wednesday to kidnapping 13-year-old Jayme Closs, killing her parents and holding her captive in a remote cabin for three months. Patterson had said he would plead guilty in a letter sent earlier this month to a Minneapolis TV station, saying he didn't want the Closs family "to worry about a trial." 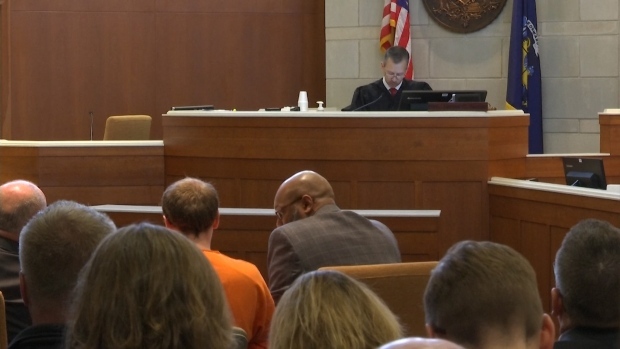 Watch as Jake Patterson enters his guilty plea for the kidnapping of Jayme Closs and the killing of her parents. According to a criminal complaint, Patterson told authorities he decided Jayme "was the girl he was going to take" after he saw her getting on a school bus near her home. Jayme told police that the night of the abduction, the family dog's barking awoke her, and she went to wake up her parents as a car came up the driveway. While her father went to the front door, Jayme and her mother hid in the bathroom, clutching each other in the bathtub, with the shower curtain pulled shut. They heard Jayme's father get shot. Patterson then found Jayme and her mother. He told detectives he wrapped tape around Jayme's mouth and head, taped her hands behind her back and taped her ankles together, then shot her mother in the head. He told police he dragged Jayme outside, threw her in the trunk of his car, and took her to his cabin, the complaint said. 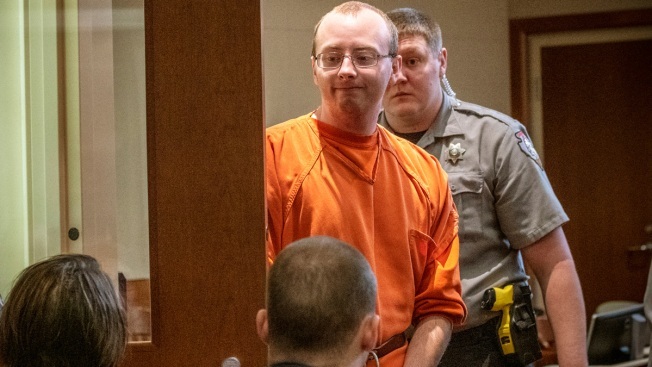 Jake Patterson, the man accused of kidnapping 13-year-old Jayme Closs and murdering her parents, says his actions were mostly on impulse and he will plead guilty in a long and detailed letter sent to KARE reporter Lou Raguse. Patterson is currently jailed while awaiting trial.